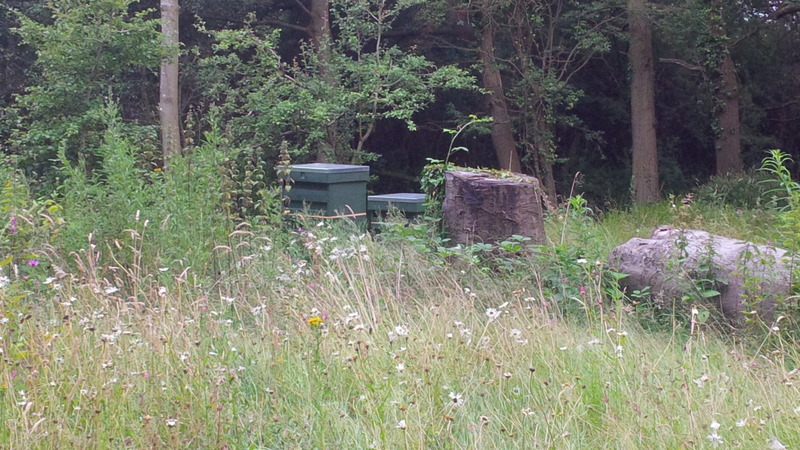 More Naughtiness – Or Bad Beekeeping? Well, my second queen bee, Victoria has left her palace to set up in the wild with a load of her workers. Not sure when they went but they’ve definitely gone. I suspect my problems have been caused mainly by me being a bad beekeeper. I don’t think I have been ruthless enough in destroying the unwanted queen cells which has encouraged the bees to swarm. So today I went through all the frames and squished every single queen cell except one nice big one in each hive. Hopefully I’ll soon have 2 new queen bees who will be better behaved than Liz and Vicky. One consolation is that I have inadvertently boosted the local wild honey bee population which can only be a good thing. Categories: Beekeeping | Tags: beehives, Bees | Permalink.